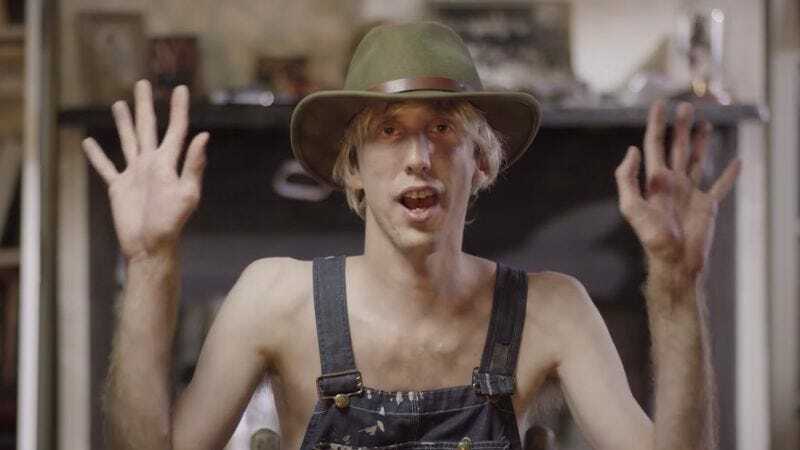 Indie rock band Deerhunter, the outfit behind albums like Halcyon Digest and 2013’s Monomania, has announced that it’s launching a worldwide tour in support of its latest release. Announced earlier this month, Fading Frontier will be the group’s seventh studio album; the first single from the new compilation, “Snakeskin,” was released along with the announcement. The tour will kick off in Los Angeles on October 17, the day after the album’s release. After that, Deerhunter will move through the Pacific Northwest and then head to Europe before circling back to the States to finishing up in the band’s hometown of Atlanta. It’ll be the group’s first major outing since frontman Bradford Cox (who had a small role in 2013’s Dallas Buyers Club, and is seen above in a pair of fetching overalls) was hit by a car last year. Cox will do double duty on the tour, with his solo project, Atlas Sound, opening at several of the shows.